Commercialized gummy bears actually didn’t make their way onto the market until the 1980s. This is one we likely started to see a wide range of gummy bears on shelves in North America. The history of the recipe however dates back to a German entrepreneur named Hans Riegel. He was responsible for inventing these candies back in the 1920s. Reigel would go on to found a famous candy company called Haribo which continues to be one of the top manufacturers of gummy candies today. 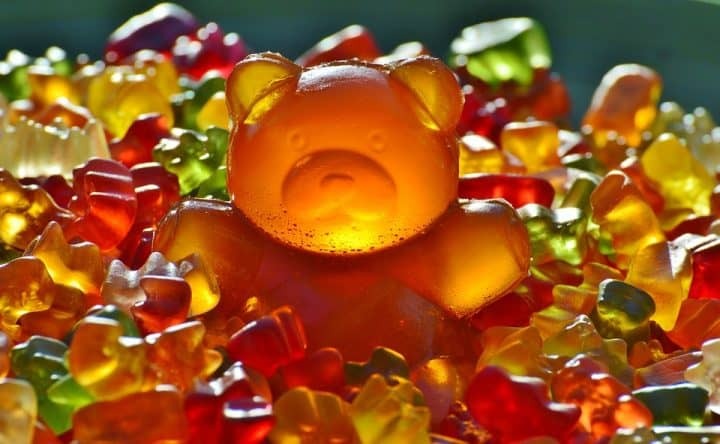 Some of the first candies that Reigel experimented with were with molds that he created to resemble bears. The reason that he chose Bears for his original molds with because he was inspired by trained bears that he would often see throughout Europe at street festivals. As the base ingredient for these bears is something called gum Arabic, this is what led Reigel to eventually call them gummy bears. Most of the gummy bears that we see in production today are actually produced using an edible gelatin. This type of gelatin is quite popular in a variety of candies like soft caramel, marshmallows and more. The reason for the changeover was because these modern ingredients can produce a more satisfying chew as well as improve the shelf life of gummy bears.